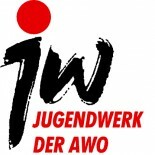 Jugendwerk der AWO Württemberg (JW) is a nonprofit NGO with the focus on non-formal education, intercultural projects, youth camps and projects for children and young people. The main objective is to support young people in their process of personal development and education besides school and university to improve social, educational, (inter)cultural and other skills and competences. By this the aim of JW is to improve tolerance, solidarity, self-determination and democracy in our society. The main activities of the JW are seminars in non-formal education, youth travel, international youth work (youth exchange, support measures and EVS), and then coordination of local projects and groups. The target groups are children and young people from 7 to 30 years with a focus on the age of 18 to 27 in which we train and educate a large number of volunteers and also motivate them to take over responsibility as multipliers in training others, organizing projects or taking over responsibility in the JW. We are searching for a volunteer for 12 months, from 01.10.2018 until 30.09.2019. Please apply only if you can come for the whole period of time. – Taking part in organizing and supporting youth camps: At the end of her/his project the volunteer will take part in a youth camp. She/he should help in preparation, realization and evaluation of the youth camp and work together with other youngsters. – The volunteer has the possibility to create posters/flyers/banners, be responsible for updating our homepage, for Instagram account of the organization etc. – Taking part in international and intercultural learning projects together with our international volunteer working group. – Creation and realization of own projects: Depending on the interests and abilities of the volunteer she/he will have the opportunity to develop a project by herself/himself. New ideas are always welcome! –The volunteer should have a driving license – driving on a regular basis is required! We are open for every application. There are some things which in our opinion could make the daily life and work easier for the volunteer. To reach a fast integration of the volunteer in the Jugendwerk and the local community, basics in English and/or German would be very helpful. The volunteer will support the Jugendwerk Team in the office, so applicants should like office work, like writing emails, creating flyers for events, helping with sending letters and like being responsible for materials and stuff for seminars and camps etc. Basic computer knowledge could also be quite helpful. Volunteers also need a DRIVING License for cars. As the volunteer will work from time to time (NOT on a daily basis) together with children and youth she/he should be interested and maybe also have first experiences in working in this field. He/she should also be willing to work in a team. Additionally, we think the volunteer should have interest in intercultural work and motivation for intercultural projects. She/he should also be open-minded, showing her/his own initiative, hard-working and open for new experiences and show flexibility. We are searching for somebody who can stay 12 months in our organization, so please apply only if you can stay for the whole duration of the project. This entry was posted on February 16, 2018 by JW.